10 Apr Do Motorcycles Really Make You Stronger AND Smarter? We’ve all heard the concerned friend, mother, uncle or spouse’s plea against the dangers of riding. But what good in life doesn’t have its risks? When we take every safety precaution, motorcycling can be enjoyed as much as any other sport – And that’s exactly what it is- a healthy, low-impact, aerobic sport activity that could help you land some great abs while enjoying a timely adventure to your favorite hot spot or relishing the freedom of the open road. When you find yourself in the inevitable midst of a loved one’s fear for you safety, try to share the positive aspects of riding, like the research-backed health benefits it brings you. While a great body is always something to appreciate, an active and healthy brain is priceless. When we drive a car, we sit in a sedentary manner. Navigating a motorcycle requires more work, physically and mentally, which activates the prefrontal areas of the brain. In lay terms, this means riding keeps your brain functioning at its current prime and helps establish higher levels of concentration. A study by Kawishima at the University of Tokyo, titled “The relationship between motorcycle riding and the human mind,” tested male motorcyclists between 40 and 50. They evaluated two groups, regular use cyclists and a non-rider control group. Each individual was examined for brain function and cognitive skills. After two months on two wheels, research results were able to conclude riders who drove their motorcycles to the office daily had increased cognitive functioning when compared to those who did not. When they analyzed the data produced by the men, who were also asked to repeat a set of numbers in reverse order, consistent motorcycle riders’ scores had increased more than 50 percent, In contrast, the control group’s scores slightly decreased. It was also found that these improvements would be lost if regular use of a motorcycle ceases. In addition to keep your mind on its best game, riding has been proven to have a positive impact on mental health, helping mood and reducing stress. The study’s rider participants noted that after 60 days of consistent motorcycle use, they had reduced stress levels and were generally happier. You know that adrenaline rush you get each time you accelerate on your bike? That’s the release of endorphins. Not only do endorphins feel great, they help improve your mood as well. Indirectly, riders gain more exposure to direct sunlight, which increases Vitamin D and helps overall mood. Money saved from spending on fuel for a motorcycle as opposed to a car, truck or SUV can also help bring down personal stress levels. As substantial as they are, the benefits of motorcycle riding are not solely mental. They’re significantly physical as well. While burning these calories, you’re also gaining a full body workout. The muscle use and energy required to maneuver a motorcycle help make your abdominal muscles stronger. Who doesn’t want to be able to say they maintain their six-pack motorcycling? 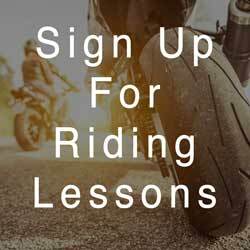 Since motorcycles usually weigh at least a few hundred pounds, riders must use their bodies to help safely balance and steer. This demands use of nearly every muscle, which, over time, improves muscle tone! Riding has also been proven to make a positive difference for individuals suffering from Type 2 diabetes or weak knees. The exercise one gets from riding impacts body chemistry, decreasing insulin use. This increase in insulin sensitivity also tells your body to store less fat, which can help you make significant strides with weight loss goals. As true of any other form of exercise, no one is claiming riding is a cure for diabetes. Nonetheless, it can help! As a result of the intense use of thigh muscles in motorcycling, riders end up with stronger knees and become less susceptible to knee injuries. So next time you get sick of the daily treadmill grind or solving tedious puzzles to keep your mind running strong or if just don’t have time for any extra personal maintenance in your day, change things up! Try getting that mental and physical fitness in by doing something you already love- like motorcycling.